Bill and I have been successfully promoting affiliate offers since 2010 and we’ve done a lot of testing on what does and doesn’t work. In fact, we’ve won several different affiliate contests not because we just promoted our affiliate links but because we took time to implement the 6 steps that I am going to share with you today. If you’re also promoting affiliate offers and you want to make more sales or just make your very first sale, then this article is meant for you! I see affiliate marketers all over Facebook & Social Media who are just promoting their affiliate links and from the outside looking in, those links just don’t move the needle for me. Therefore, if you are in the same boat and you can’t successfully answer these 5 questions below then that’s probably the reason why you aren’t having success promoting your affiliate offers. Do you actually own the product? Have you actually gone through the entire training of the product you are promoting? What exactly am I getting when I buy this product? Meaning, what’s behind the door? Can I see the results you have gotten? How exactly will his help me in my own business? Most affiliate marketers are leaving money on the table if they can’t answer the questions above and this is the majority of the reason as to why they aren’t getting any sales. In fact, I see marketers everyday promoting on Facebook their offers and they honestly have no clue what they are really promoting. All they are looking for is a quick buck. In This Article I’ll Share With You The 6 Most Profitable Steps To Converting Your Affiliate Offers That Bill And I Have Used For Our Business. 1. Buy The Product: Before you venture out to promote any affiliate offer, actually buy the product yourself. This will make more sense as we go through the additional steps, but owning the actual product is a MUST when it comes to promoting to an audience. 2. Go Through The Product Tutorials: Nothing worse than promoting a product to an audience, especially one that knows who you are through the brand you have built, and the product be crap. That all goes back on you. So it’s important to actually go through it yourself and make sure it’s something you want to tie your name too. Trust me on this…..I have bought products in the past from people I knew and they were horrible. So much so I would go back to the person who promoted it and ask, “did you actually look at this product you were promoting because it’s horrible!” 9 times out of 10 they would tell me know…..they just “heard” it was good. Don’t do that! Buy the dang product and actually go through it. 3. Review The Product: Okay this step and the next few are the steps that are going to help you make more sales. I see most affiliates just promote their affiliate links with no additional effort. They take their link, slap it up on Social Media and hope for the best or take their link, promote to their list and hope for the best. Doesn’t work anymore. People today are bombarded with offers all day long via Social Media and their email inbox. So one of the things that Bill & I always do when we are promoting affiliate offers is we give our audience a tour via a screen sharing video on exactly what they will get when they purchase XYZ product. For example: If I were an affiliate of our product Social Media Branding Academy, I would start a screen share video via Screenflow and take the viewer on a tour of the back office of Social Media Branding Academy, module by module. If we were promoting an affiliate offer that was a software program, like Ad Espresso (which btw…is amazing!) I would start a screen share video via Screenflow and show the viewer how to use the program and show the power of the program when it comes to creating Facebook Ads. Heck, we have actually done that and we show the audience how to actually use Ad Espresso and the benefits. This is a powerful step that if most affiliates would just take the time to do, they would absolutely see an increase in their conversions. 4. Share Your Results: Okay now that you have bought the product, you are using it, you should definitely share your results or your experience with the product. This will build trust with your audience and again we would use screen shots or a screen share video to share those results. 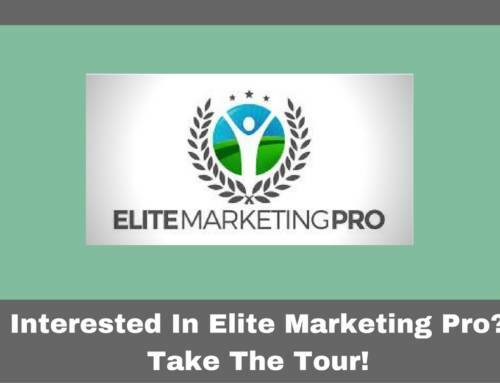 Take time to show the power of what you are promoting and if you don’t get results with the affiliate product….well I wouldn’t take the time to promote it. As I said before your name is going to be tied to the recommendation and you don’t want to promote something that’s not quality. That’s a quick way to ruin your brand. 5. Share Why Your Audience Should Buy: Your audience up until now has seen what you think of the product and they hopefully have seen your results or what it has done for your business. Now it’s time to share why they should also get the product. An example would be: If you are struggling to create Facebook Ads that convert or you are struggling with the optimization process of Facebook Ads, then this program is a must. Ad Espresso takes all the guess work out of optimization because it automatically optimizes for you. It also saves you time by creating multiple ad variations from just one ad, that will only take you 5 minutes to set up. Finally if you are tired of losing money on Facebook then this program is a must have as it will actually save you a ton of money that you now won’t be wasting on an audience that clearly is not converting for you. Now you will know exactly who that audience is because of Ad Espresso. Talk to your audience here and identify what their pain is and why they would need your affiliate offer as this will be the solution to no more pain. 6. Promote. All these steps are great and if you want more conversions on your affiliate offers then definitely implement these steps, but without an audience to promote too you won’t get many sales. So in your final step make sure you promote to your list your screen share video, if you have a list. Other options would be to do paid advertising to promote the screen share video you created. “Hey there! Bill & I just put a quick video together on a really helpful tool called Ad Espresso. Inside this video I will walk you through exactly what you will get and how it can help you put your Facebook ads on steroids. Which means more conversions, less time and less money out of your pocket, yet more as I said earlier more conversions which means more sales! We started using Ad Espresso over a year ago and I have to tell you it has saved us a ton of time and money. We now have all of our ads optimized automatically and we are no longer wasting money on audiences that don’t convert because of Ad Espresso we now know who that audience is. Then we would upload the video or send them to a blog post where the video is. Have a call to action in the video to get more information or buy at the end. Once that’s all done we would promote that status update via paid Facebook advertising. If you got value from this post be sure to leave me a comment below and feel free to share.